Turn a two person job into a one person job. This system allows you to effortlessly pull cable behind walls by yourself. Navigates through insulation and other obstructions. Perfect for routing cable between drywall and insulation or fixture installations. Great for low voltage applications. Quickly route cables in enclosed spaces, through wall, floor and ceiling voids. Innovative leader-pull design can navigate many obstructions. 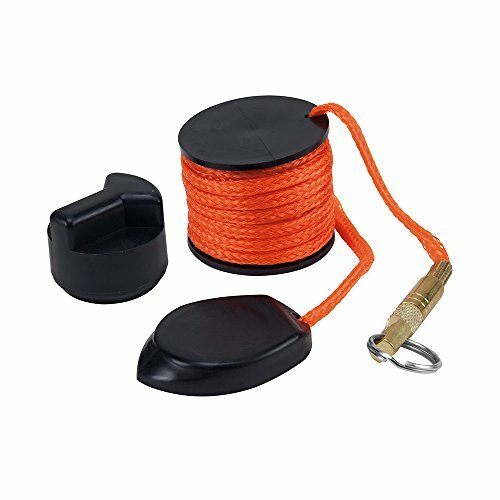 Swivel leader eyelet securely connects to most wires and mesh wire pulling grips. Non-marring nylon leader-pull with 20-feet (6 m) of heavy-duty nylon rope. Convenient spool and storage tube for protection between jobs. For more than 160 years, Klein Tools has manufactured premium-quality, professional-grade hand tools that deliver the performance, durability and precision needed to get the job done right. Our family of engineers, workers and craftsman continue to put six generations of expertise into every tool we create by using only the highest quality materials, superior workmanship, and keeping manufacturing as close to home as we can. Klein isn't just the name of our company, it's also our family name. And since we're an American company that's family-owned and family-run, you know you can count on us to be here tomorrow. Klein Tools doesn't just make great products, we make great products that stand up to the demands of the professionals who use them every day ... Since 1857.